The LG G Pro 2 comes with all the options for changing the font type and size to make it better for the eyes to view, especially while reading the messages. 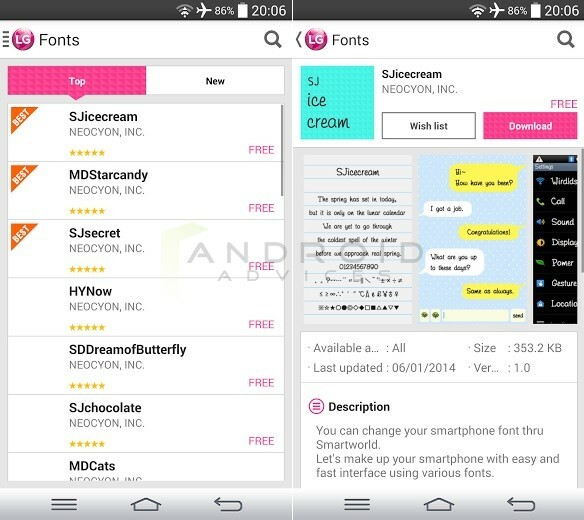 While the other smartphones come with limited number of options for the fonts and many don’t have the option to customize it at all, we like the way LG has included all options for the users to make the interface look better with a few font types and the different sizes to select from. Go to Settings > Display > Font > and under that you would be seeing the two sections – Font type, Font size. 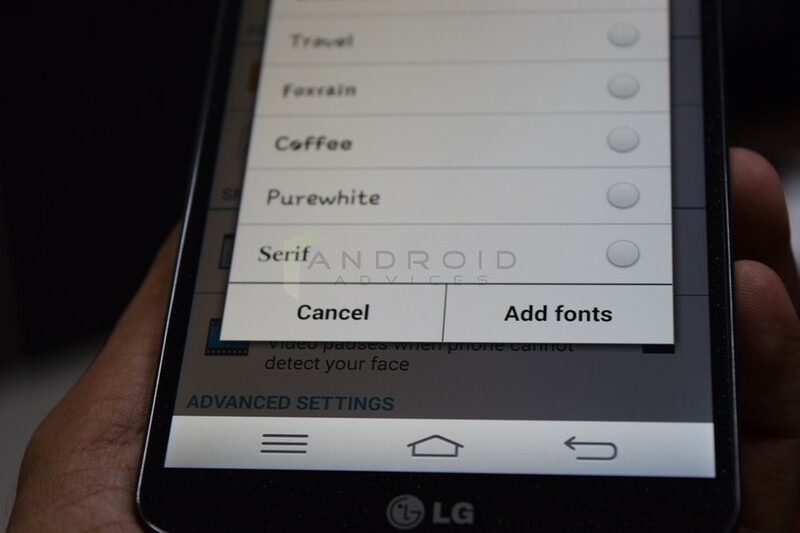 There are a few font types available in the LG G Pro 2 by default, one of which can be selected. The fonts that are available in the list: Roboto, SmartGothic, Travel, Foxrain, Coffee, Purewhite, Serif of which one cannot be compared with the other, for the reason that none of them looks even a bit similar. Select one of them if you don’t like the default Gothic font. For changing the Font size, you will see the option just below the font type, and there are a few options for the same – Minimum, Small, Medium, Large, Very large, Maximum. The default one that is set, is Medium but you can set any size based on how you want to view. Downloading the fonts is possible too, if someone isn’t happy with the fonts available already in the device. In the same options area for changing the font type, you will see the option “Add fonts”. Tap on that and you would be taken to the LG SmartWorld where you need to register an account before you are able to access the big directory of fonts from where you can download any font you like. Install the font and you would see that listed in the list of fonts to select from. This is something good from LG G Pro 2 for allowing the users to change the font and customize the way the text looks in the device, making the personalization even better. Please could you send me Shan font (zawgyi Tia.ttf)on LG G PRO2 .But I’ll not saw that font size please let me get this one ? I’ll hand flit fonts on this site. Please can you help me ?